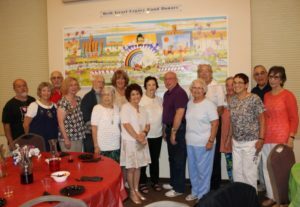 2018 marks the thirty year anniversary of Beth Israel the Jewish Congregation of Sun City Center’s building at 1115 Del Webb Blvd E. Numerous events have been scheduled throughout the year to commemorate this event as we remain the beacon for Jewish life in Sun City Center. Beth Israel’s legacy started 30 years ago when our building was completed and we became the beacon for Jewish life in Sun City Center. The Jewish people were commanded by God to have an eternal flame, Ner Tamid, constantly burning on the altar of the Mishkan and that was continued when the temple was built in Jerusalem. This permanent flame is a symbol of God’s eternal presence amongst Israel. But the flame symbolizes more than that. 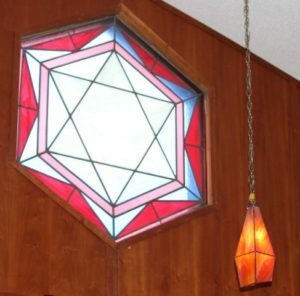 It is the symbol of the light of the Torah. It teaches the lesson of eternity – of the long view of life and events, and of the unquenchable love between God and our people and of the Jewish people and our Torah. Professor Meyer’s books have won three Jewish Book Awards. They include The Origins of the Modern Jew: Jewish Identity and European Culture in Germany, 1749-1824 (1967; Response to Modernity: A History of the Reform Movement in Judaism (1988); Jewish Identity in the Modern World (1990); and a collection of essays entitled Judaism Within Modernity (2001). Among books he has edited are Ideas of Jewish History (1974); the four-volume German-Jewish History in Modern Times (1996-1998); Volume six of the collected writings of Leo Baeck (2003); and Joachim Prinz, Rebellious Rabbi: An Autobiography–the German and Early American Years (2007). He has published more than two hundred articles and longer reviews. From 1978 to 1980 Professor Meyer was president of the Association for Jewish Studies (the American professional society of Judaica scholars) and from 2003 to 2006 chaired the Academic Advisory Council of the Center for Jewish History in New York. From 1991 until 2013 he served as international president of the Leo Baeck Institute, a scholarly organization devoted to the historical study of German Jewry that has branches in Jerusalem, New York and London. He is a fellow of the American Academy for Jewish Research and has been a fellow of the Center for Advanced Judaic Studies at the University of Pennsylvania. 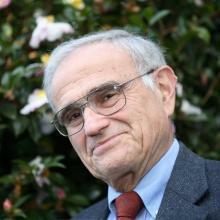 In 1996 Professor Meyer won the National Foundation for Jewish Culture’s Scholarship Award in Historical Studies for major influence on colleagues and students in his field. In 1997 he was a fellow at the Institute for Advanced Studies of the Hebrew University in Jerusalem, in the summer of 2000 a guest professor at the Aby Warburg House in Hamburg, and in 2001 received an honorary Doctor of Hebrew Letters degree from the Jewish Theological Seminary of America. In 2008 Jewish historians from the United States, Israel, and Europe honored him with a jubilee volume entitled Mediating Modernity: Challenges and Trends in the Jewish Encounter with the Modern World. In 2015 The Leo Baeck Institute presented him with its Moses Mendelssohn Award for lifelong dedication to teaching and publishing about German-Jewish history and culture. In 2014, he was a fellow at the Katz Center in Philadelphia. 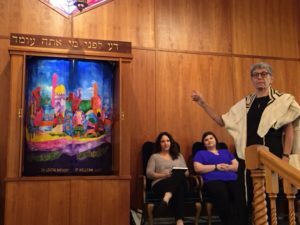 Though himself proudly a layperson, his wife, Margaret J. Meyer is a Reform rabbi (now retired), as is his oldest son (in Israel), and his son-in-law (in the Boston area).